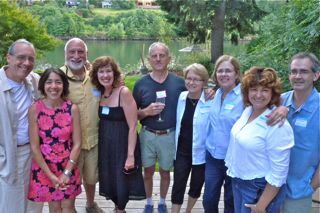 The Hardy Plant Society of Oregon depends on its volunteers to function. There are many ways to volunteer. Opportunities are both short and long term. Bring botanical samples to our lecture programs. We'll provide the display vase and identification tags for you to complete. Become a volunteer for the Garden Conservancy tour with other members and receive a free day pass to visit all the featured gardens. Volunteer now. Collect and save seeds for sharing with other members through our seed sales activities. You supply the seeds; we'll clean them, label them, and bring them to programs. Join the Board. Each year we have openings for new directors and officers. Serving on the Board is fun and rewarding. To learn more about joining the Board, contact the HPSO office. Contact our Director of Volunteers to learn about volunteering for upcoming programs and events. Thank you.